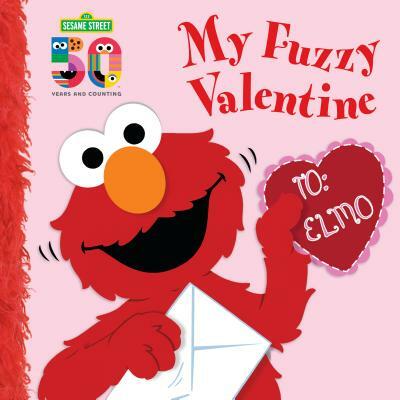 Celebrate Valentine's Day with Elmo in this big board book with a super-fuzzy cover and super-fuzzy pages. Elmo wants to know which of his Sesame Street friends sent him a beautiful Valentine's Day card. Children ages 1 to 4 will love touching the super-fuzzy pages of this big deluxe board book with a super-fuzzy cover and super-fuzzy pages! The sturdy board pages will hold up to hours of play as little ones leaf through them, visiting with Elmo, Grover, Cookie Monster, Baby Bear, Bert, and Ernie. Naomi Kleinberg is a children’s book editor and the author of many children’s books. She lives in New York City in an apartment so filled with books that there’s barely enough room for her family. By odd coincidence, her favorite foods—apples, avocados, and arugula—all begin with the letter A.
Louis Womble is an illustrator of several Sesame Street books, including Elmo’s Mommy, Monsters Munch Lunch!, and My Fuzzy Valentine.